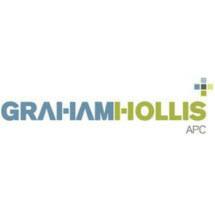 The lawyers at GrahamHollis APC in San Diego, California handle all claims for employment law violations. Have you been cheated out of wages due to you? Have you suffered harassment or discrimination in the workplace? Has an employer retaliated after you made a legitimate complaint? Turn to our California employment law firm if you are looking for an experienced team of litigators to champion your cause. You will find attentive listeners, clear communicators and powerful advocates for your interests. We represent employees throughout California. We understand all forms and methods of illegal practices that are conducted by businesses, employers and managers. Our attorneys have represented workers and employees from nearly every industry with a combined 30+ years practicing employment law. GrahamHollis APC has been in operation since 1995 and owns its own brick and mortar office buildings in San Diego and Temecula, with virtual offices in Orange, Los Angeles, Sacramento and San Francisco.